Series S Bipod - Model 25 12-25Manufacture ID: S-25Ultra-light Harris Bipods are lightning quick and manufactured with quality heat treated steel and hard alloys. The bipods are quick-detachableand clamp to the Q.D. stud of bolt action rifles with conventional stock design. Carrying your rifle with a sling or shooting off-hand is not impeded by the use of a Harris Bipod. Series S Bipods rotate to either side for instant leveling on unevenground. Hinged bases have tension adjustment to eliminate tremor. 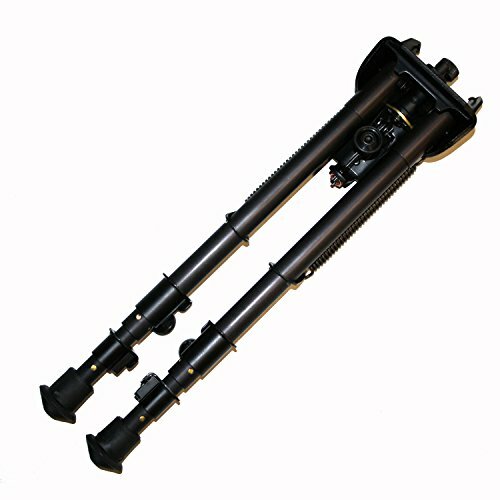 Bipods have an all-weather black anodized finish.Features:- Aluminum Alloy with some Steel Parts- 3 Piece legs- Hard Rubber Leg CapsSpecifications:- Weight: 19 ounces- Height:12 to 25- Finish: Anodized BlackWarranty: Guaranteed for one year from date of purchase against defects in material andworkmanship.